Everyone has beauty items they refuse to spend a lot of money on. It may be a lip gloss, body moisturiser or nail polish. For me it's anything to do with hair removal. It's one of the more unglamorous parts of my beauty routine and sometimes I go for the inexpensive route. But this is one of my beauty blunders too. Did you know that by using a cheap razor (in price and quality), it won't glide on the skin and you'll end up cutting yourself with the blade? In enters the much better quality shaver. Yes, it might cost a few dollars more, but the pay off is worth it. I adore the Schick Hydro Silk razor. It has 5 (YES 5) blades to give you the smoothest and softest legs out there. It contains 2 moisturising strips, one at the top of the razor and one at the bottom, that helps it slide over your skin to stop from cutting yourself. It also helps to keep your skin feeling soft and hydrated. No more dry or irritated skin. The moisture strips are activated by water and contain shea butter and marine extracts to nourish and hydrate your skin. The great thing with the moisture strips is that they are hypoallergenic for even the most sensitive skin. 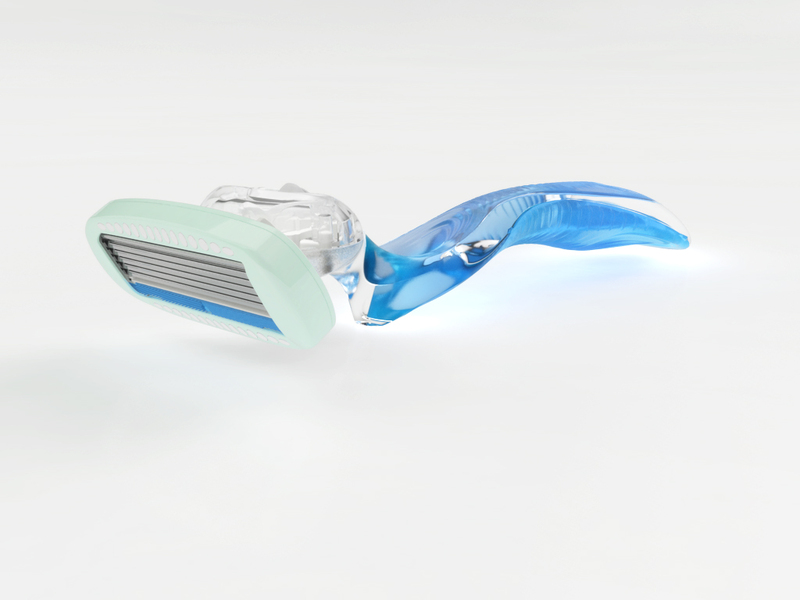 I love the 5 blades because I get the closest shave and find that my legs felt softer for longer. With a cheaper blade there is normally only 2 blades and they get clogged up easily. But with 5 blades you don't have to worry about that. One great thing about the blades is that they "move" independently from each other so its perfect for those tricky places like knees, ankles and underarms. The handle is really amazing. It has a soft rubber handle that's easy to manoeuvre. I'm used to harder handles, and have always found them frustrating. 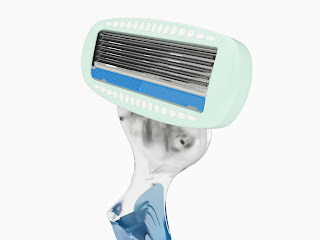 It's harder to glide over tricky places like underarms, so I love how easy this razor is. 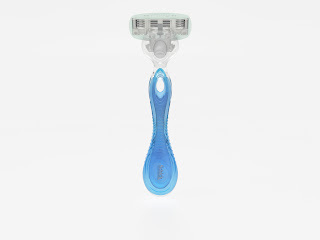 The razor is compact which is fantastic, as previous razors I've tried in the past were big and bulky and were impossible when it came to underarms and more intimate areas. It comes with this gorgeous little shower hanger to keep it (and your feet) safe from the razor being knocked off a shelf. Even though it has its built in protection from the moisture strips, remember to still use a shaving gel, moisturising soap or body gel. This just protects and moisturises your skin to its full potential, and helps to limit any irritation. Even though it's an amazing razor, make sure you don't share it with anyone to prevent spreading bacteria from one user to the other. Get them their own! The kit (which contains the razor, 2 blades and the shower hanger) will cost you $15.25 and the refill packs are $19.25. It's available in Australia from August at supermarkets, Priceline and pharmacies. I have 5 Shick Hydro Silk Razors to road test as apart of a trial team! Where's the strangest place that you've ever shaved? (Either location or body part)? Comment below and please include your email address in your answer. If you're apart of the lucky 5, I'll send out an email to you to get your details so you'll be able to try it out yourself. You've got until midnight EST on the 9th August to be eligible so get commenting now! *Sadly, this is only an Australian trial team -SORRY!! This is a sponsored post by Schick. All thoughts and views are completely my own, and are always 100% honest. See my disclosure policy here. The strangest place i had to shave, was when i went camping on Norton Island and there was a snake just chilling there. It was quite an experience! How come the refills are more expensive? :O How strange! I'm in the UK so can't enter the competition but I deffo agree a more expensive razor works so much better than a cheap one. I just wish the good ones weren't so expensive! http://razzledazzleandrocknroll.blogspot.co.uk/ I am trying to get my followers up at the moment so if you like what you see I will greatly appreciate your follow :). If you already follow I apologise. I would have to say i have never shaven in a weird/strange place either that i can remember at least. It was interesting reading your post, i thought shaving with a 1 or 2 bladed razor was actually better (after watching goss makeup artist) as it decreased the number of times a blade passed over your skin, preventing razor burn etc. I haven't shaved, but was shaved on my lower back, and the top of my foot! oo errr! Not very strange, it was prior to getting tattoos! I shaved my finger hair (I had very little!) at my grandma's house. This was when I was five, I found a razor (was my grandpa's) lying near the sink and curiosity got the better of me. It bled a little but was saved by my mum, lol. So after testing out this shaver a few times, i have decided that one of the things i liked about it most was the upside down holder, most razors come with an upright holder which sort of makes water stay on the blades and may cause them to loose their sharpness quicker. 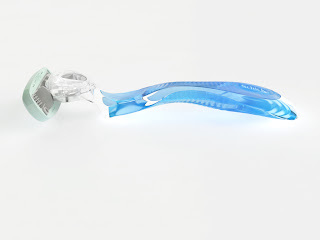 I have found that hair was more easily removed with this 5blade razor, however i tend to go over the same spot once more just to make sure, which means i have technically gone over my skin about 10 times with blades, therefore 10x the skin cells i would be get rid of...but this isnt such a problem if i follow up with a richer moisturiser. The moisturising strips were also another highlight, however it made the shaving process abit messier and was abit too slimey in terms of consistency. Overall i really liked how this razor performed, the presentation of it was really nice, simple and elegant, and I would definitely repurchase. Although the replacement heads are expensive it may be something that i will consider repurchasing, based on how many shaves i can get out of the head etc (as i haven't had the razor for long enough to tell you). It is hard to make a definite call on this as i have only had time to use it once. I will post on my blog review when i have had some more time. I loved the razor! I will definitly repurchase! I find with this one I only have to go over an area once where as with my old razor I went over every area several times! Love the silky feel after the shave and the holder is so handy!